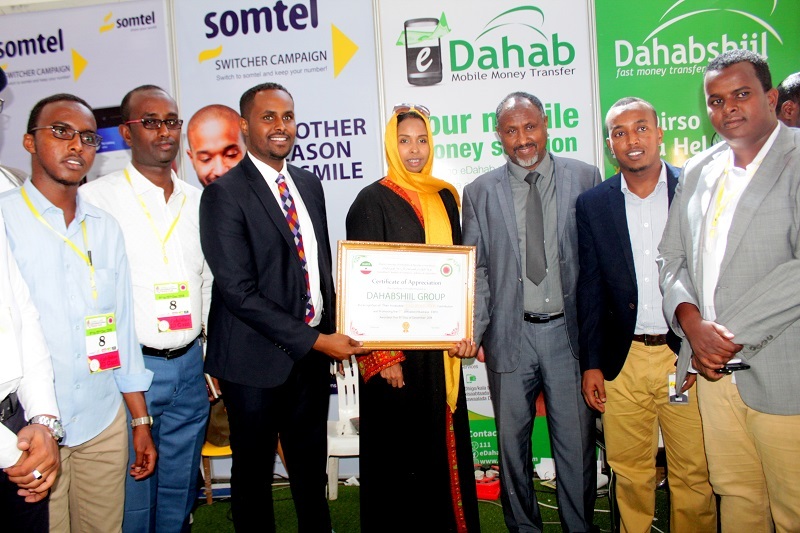 Home News Expo organizers honor Dahabshiil Group for remarkable participation. 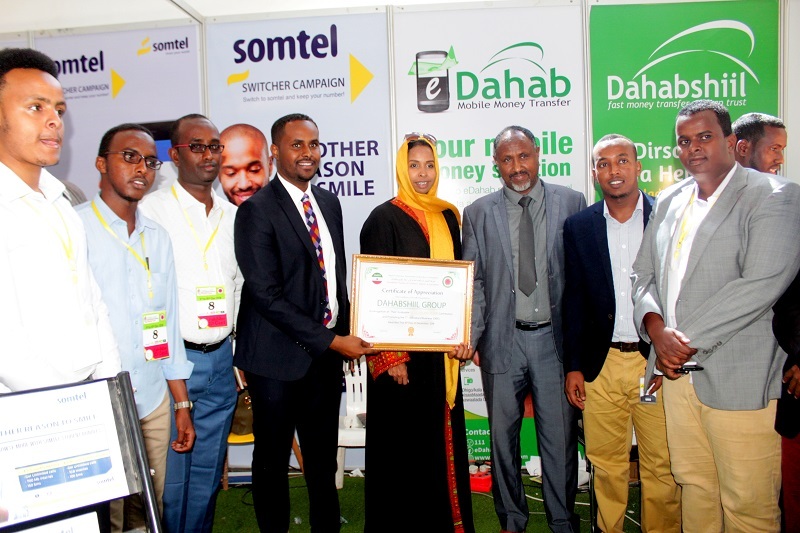 Expo organizers honor Dahabshiil Group for remarkable participation. 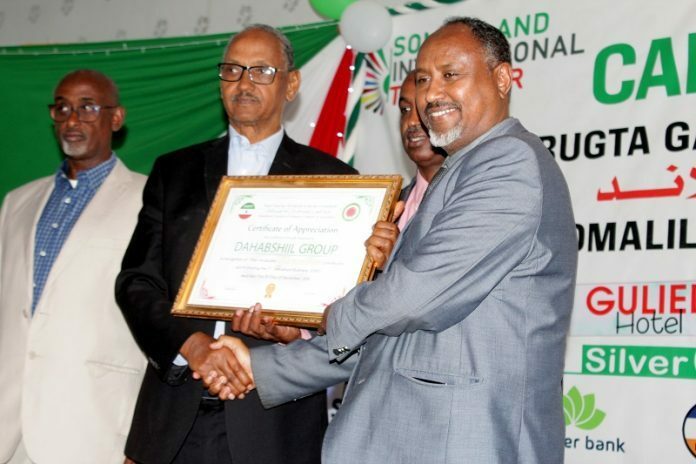 The Somaliland Chamber of Commerce, industry and Fisheries honoured Dahabshiil Group for a very remarkable participation at the five-day 8th trade fair held at Guled Hotel, Hargeisa. Abdirashid Farah Ahmed, receiving the award on behalf of the Group, expressed how honoured he felt on being recognized for the role Group companies played at the Exhibition, profusely thanking the organizers for making the trade fair possible. “Trade fairs play such a vital role in introducing services and products to a wider customer base,” he said. “They also serve as a venue where the business community, itself, get to know one another, exchange experiences, strike new relationships and, most importantly, chart the way ahead from”. 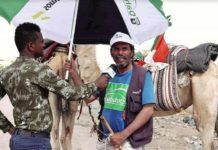 Abdirashid disclosed that the Group attracted a great number of new customers who decided to lay their hats with the notable, world-renowned brand some going across the spectrum on GSM/Internet with Somtel, personal/business accounts with DBI and as new subscribers to either eDahab or DahabPay – or both. Small businesses and startups thronged to MicroDahab stands for more information on services and potentials available. The Dahabo services and MasterCard services of the Bank equally attracted male and female customers who were assured of more than fair chances on Bank’s investment opportunities. 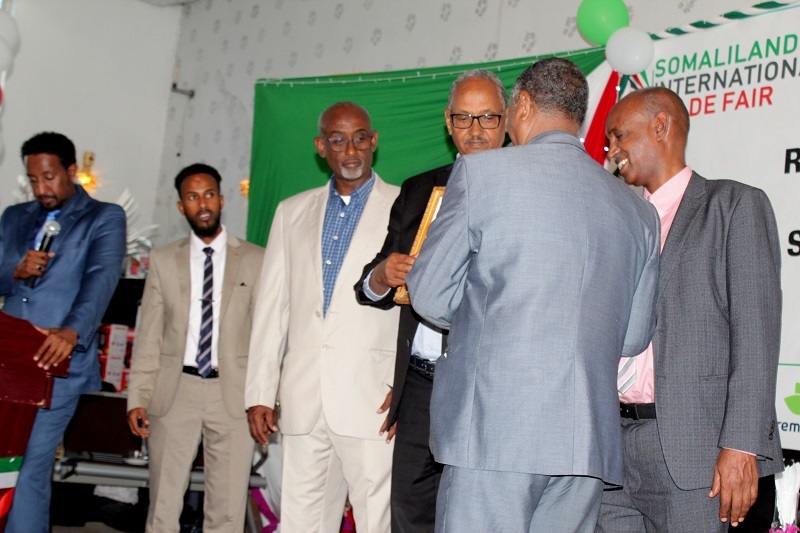 “I am most impressed by the host, Ali Guled, who had prepared the venue, and to Dahabshiil Group teams who had spared no effort to make our participation the resounding success which the honour accorded us attests to,” he said. 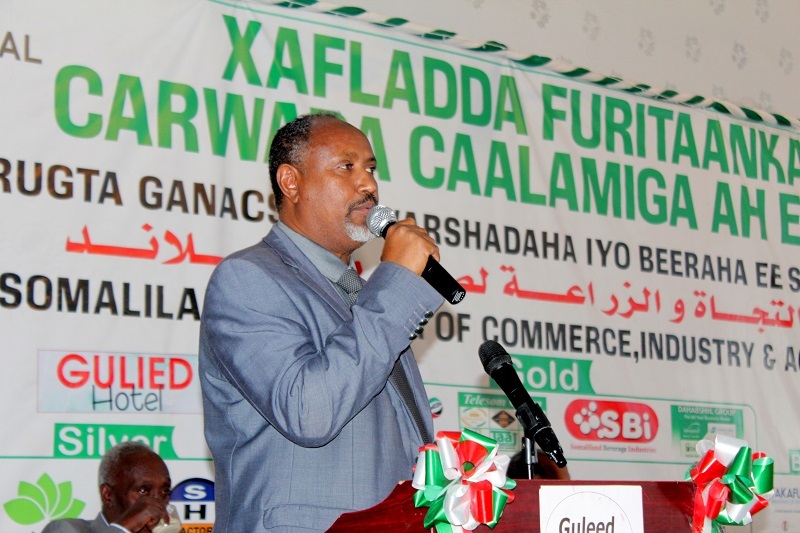 Abdirashid, Chief Executive Officer of Dahabshiil PVT Operations Center, urged both the Chamber and the business community to make the expo a yearly event. “Let us plan to accommodate business concerns from the region and further afield to make it a more international get together to foster an environment where all pack home on a win-win achievement,” he said, adding that such an atmosphere will expose local businesses to the region and to international markets and vice versa. Dahabshiil Group kiosks and stands were recognizably inundated with enthusiastic visitors, most of who wished to start accounts with the varied branches of the Group consisting of, notably, the money transfer wing, Dahabshil Bank International (DBI), MicroDahab, eDahab, and Somtel Telecommunications. The Group, also, unveiled a new, business-friendly online portal called DahabPay portal to potential customers for the first time. 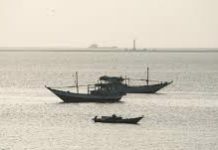 Previous articleSomaliland: Behi’s Year in Review – Moved or not Moved Forward?